In 1893, Claude Monet began creating a water garden near his house in Giverny: a pond surrounded by weeping willows, with irises, water lilies, and a Japanese bridge. Imagined to be a peaceful haven, this water lily pond would become a veritable obsession for Monet. He went on to paint over 250 canvases in which he endeavored to capture the reflections of light on the surface of water. 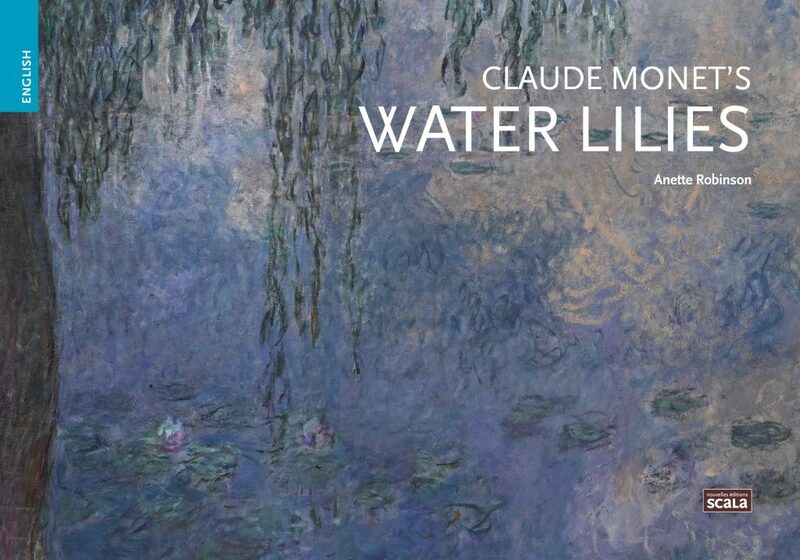 The final result of his ambitious undertaking, Water Lilies, was installed in the Musée de l’Orangerie in 1927. Eight scenes line the walls of two oval rooms that form the sign of infinity. In her fascinating and informative book, Anette Robinson recounts the genesis of Water Lilies and their posterity. Two eight-page inserts offer readers a complete view of this masterpiece.